Central hotel by Karl Johans gate, Stortinget parliament and Spikersuppa, with Aker Brygge and Tjuvholmen districts, and Akershus Fortress within walking distance. The perfect starting point for a weekend in Oslo, with all kinds of entertainment just around the corner. 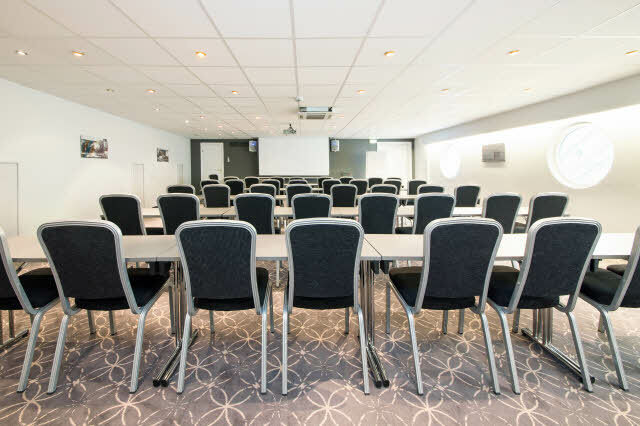 Scandic Victoria is the perfect hotel if you wish to hold a meeting outside the office. We have 8 meeting rooms for up to 90 participants. Our big atrium is ideal for receptions, luncheons and dinners. Our hotel is Nordic ecolabelled and has free WiFi. Take some time to enjoy lively Aker Brygge, explore the city’s sights including Akershus Fortress, or take a shopping tour at Paleet. With its location right by Spikersuppa, our hotel is perfect for business travellers looking for a place to sleep or organise meetings. After a long day of meetings, you can head out to explore the city. Feel free to ask us for a restaurant recommendation in Oslo where you can enjoy delicious food and beverage. Our hotel is located 5 minutes away from Nationaltheateret underground station, and if you arrive by car we have access to a parking garage. Short distance to the airport train, which takes you to Oslo Airport Gardermoen in 21 minutes. Enjoy a delicious breakfast buffet on the second floor, or enjoy the atmosphere with something good in the glass in our bar. Scandic Victoria is the perfect hotel if you wish to hold a meeting outside the office. We have 8 meeting rooms for up to 90 participants. Our big atrium is ideal for receptions, lunches and dinners. Our hotel is Nordic ecolabelled and has free WiFi.